Are You Ready To Outfit Your Hunting Customers This Fall? Although the fall hunting season is a couple of months away, it’s never too early to scout for your next top seller. Consider these products from our advertising partners below! This 1911 packs the powerful 22 magnum cartridge with a 14-round capacity. Engineered with a pinned, solid state 5" barrel with delayed blow back slide and factory 4- to 6-lb. trigger for match class accuracy and power. The XT Magnum offers low profile anti-snag angle front and rear sights, skeletonized hammer and trigger parkerized coating, and comfort extended beaver tail safety. The Guides Choice™ Leather Chest Holster is simple, comfortable, easy to adjust & very versatile. 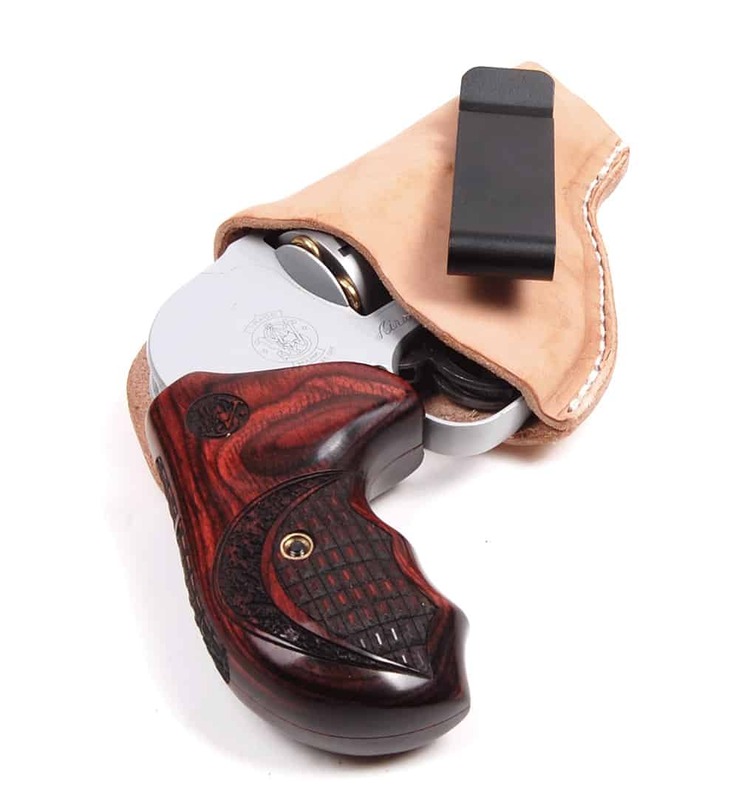 You get maximum handgun accessibility while not interfering with your clothing and gear. Whether you are fishing, hiking, hunting or working on the ranch, each Guides Choice™ Chest Holster is designed and hand made for your gun specifically by hard working Alaskans. terminal performance … the new GameChanger hunting bullet from Sierra. expansion at any range — a GameChanger for any hunt! designed to deliver comfort and function for hunters in a variety of weather conditions.